The following policy has been established by St. Andrew’s College to govern the provision of services with Regulation 191/11, “Integrated Accessibility Standards” (“Regulation”) under the Accessibility for Ontarians with Disabilities Act, 2005. St. Andrew’s College is governed by this policy as well as the Accessibility Standards for Customer Service Policy and the Accessibility for Ontarians with Disabilities Act, 2005 in meeting the accessibility needs of persons with disabilities. St. Andrew’s College is committed to treating all people in a way that allows them to maintain their dignity and independence. We believe in integration and equal opportunity. We are committed to meeting the needs of persons with disabilities in a timely manner, and will do so by preventing and removing barriers to accessibility and meeting accessibility requirements under the Accessibility for Ontarians with Disabilities Act. St. Andrew’s College will develop, maintain, and document an Accessibility Plan outlining St. Andrew’s College’s strategy to prevent and remove barriers from its workplace and to improve opportunities for persons with disabilities. The Accessibility Plan will be reviewed and updated at least once every five years, and will be posted on the St. Andrew’s College’s website. Upon request, St. Andrew’s College will provide a copy of the Accessibility Plan in an accessible format. The training will be appropriate to the duties of the employees, volunteers, and other persons. Employees will be trained when changes are made to the Accessibility Policy and new employees will be trained as soon as practicable. St. Andrew’s College will keep a record of the training it provides. St. Andrew’s College will have consideration for accessibility when designing, procuring, or acquiring any self-serve kiosks to better serve persons with disabilities. St. Andrew’s College will continue to ensure that its process for receiving and responding to feedback is accessible to persons with disabilities by providing, or arranging for the provision of, accessible formats and communications supports, upon request. Upon request, St. Andrew’s College will provide, or will arrange for the provision of accessible formats and communication supports for persons with disabilities in a timely manner that takes into account the person’s accessibility needs due to disability. St. Andrew’s College will consult with the person making the request in determining the suitability of an accessible format or communication support. St. Andrew’s College will also notify the public about the availability of accessible formats and communication supports. St. Andrew’s College will ensure that our Internet websites, including web content, conform to the World Wide Web Consortium Web Content Accessibility Guidelines (WCAG) 2.0, at Level AA except where this is impracticable. St. Andrew’s College will notify its employees and the public about the availability of accommodation for applicants with disabilities in its recruitment process. St. Andrew’s College will notify job applicants, when they are individually selected to participate further in an assessment or selection process that accommodations are available upon request in relation to the materials or processes to be used. If a selected applicant requests an accommodation, St. Andrew’s College will consult with the applicant and provide, or arrange for the provision of, a suitable accommodation in a manner that takes into account the applicant’s accessibility needs due to disability. When making offers of employment, St. Andrew’s College will notify the successful applicant of its policies for accommodating employees with disabilities. St. Andrew’s College will continue to inform its employees of its policies (and any updates to those policies) used to support employees with disabilities, including policies on the provision of job accommodations that take into account an employee’s accessibility needs due to disability. This information will be provided to new employees as soon as practicable after commencing employment. Upon the request of an employee with a disability, St. Andrew’s College will consult with the employee to provide, or arrange for the provision of, accessible formats and communication supports for information that is needed to perform his/her job, and information that is generally available to other employees. In determining the suitability of an accessible format or communication support, St. Andrew’s College will consult with the employee making the request. St. Andrew’s College will provide individualized workplace emergency response information to employees who have a disability, if the disability is such that the individualized information is necessary, and if St. Andrew’s College is aware of the need for accommodation due to the employee’s disability. St. Andrew’s College will provide this information as soon as practicable after becoming aware of the need for accommodation. Where the employee requires assistance, St. Andrew’s College will, with the consent of the employee, provide the workplace emergency response information to the person designated by St. Andrew’s College to provide assistance to the employee. 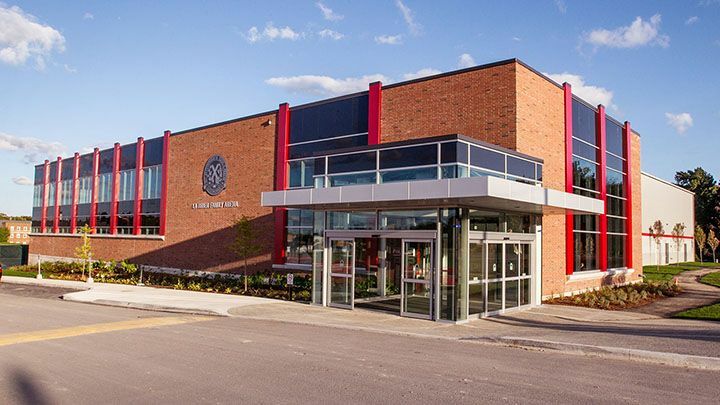 St. Andrew’s College will review the individualized workplace emergency response information when the employee moves to a different location in the organization, when the employee’s overall accommodations needs or plans are reviewed. St. Andrew’s College will maintain a written process for the development of documented individual accommodation plans for employees with disabilities. St. Andrew’s College maintains a documented return-to-work process for its employees who have been absent from work due to a disability and who require disability-related accommodations in order to return to work. The return to work process outlines the steps St. Andrew’s College will take to facilitate the return to work and will include documented individual accommodation plans as part of the process. This return-to-work process will not replace or override any other return-to-work process created by or under any other statute (i.e., the Workplace Safety Insurance Act, 1997). St. Andrew’s College will take into account the accessibility needs of employees with disabilities, as well as individual accommodation plans, when conducting performance management, providing career development and advancement to employees, or when redeploying employees. The following policy, practices, and procedures have been established by St. Andrew’s College to govern the provision of its services in accordance with the Accessibility for Ontarians with Disabilities Act, 2005 and Regulation 429/07 “Accessibility Standards for Customer Service." The Andrean community dedicates itself to the development of the complete man, the well-rounded citizen. All of our strengths and resources are directed toward the spiritual, moral, academic, athletic, and cultural education of each student. St. Andrew’s College prepares its students for university and for life. In fulfilling our mission, this policy aims to ensure that people with disabilities are given the same opportunity as others to obtain and benefit from services offered by the School. Reasonable efforts will be made to ensure that services offered by the School are provided in such a way that the key principles of independence, dignity, integration, and equality of opportunity are respected. Reasonable efforts will be made to ensure that people with disabilities have the same opportunity of access to our services in the same location and in a similar way as these services are available to all others we serve, unless an alternate measure is necessary, whether temporarily or on a permanent basis, to enable the person to access the service. When communicating with a person with a disability, the person’s specific disability will be taken into account. The School will ensure persons who deal with members of the public on behalf of the School, whether as an employee, volunteer, or agent receive training about the provision of its services to persons with various types of disabilities. People with disabilities may use their own personal assistive devices, or those that may be provided by the School, while obtaining any services provided in any premise of the School. A person with a disability may enter any premise of the School with that assistive device unless not allowed by law. If the device is not allowed by law, the person will be so advised and alternate options will be explored. If barriers to the use of an assistive device exist at any premises, these barriers, where reasonably possible, will be removed. Service animals are allowed to enter premises with any person with a disability, except where animals are not allowed by law. Where an animal is not allowed by law, alternate options will be explored to provide the service to the person with a disability. Support persons are allowed to go with any person with a disability in any area, on any school premise. This will include attendance at any meetings or interviews. Depending on the circumstance, it may be appropriate for permission to be obtained from the person with the disability for their support person to attend a meeting or interview, which could be considered private or confidential. This permission can take many forms, depending on the specific needs of the person with the disability, and may include, written or verbal permission, a nod of the head, or otherwise. Permission should be documented by school staff. In some instances, the School may require that a person with a disability be accompanied by a support person when on school premises, but only in such instances where a support person is necessary to protect the health and safety of the person with the disability, or others on the premises. If there is an admission fee payable as a result of the person’s attendance at the premise, notice shall be given in advance about the amount, if any, payable by the support person. If there is a temporary disruption of facilities or services typically used by people with disabilities, notice of the disruption will be provided. Notice must include information about the reason for the disruption, the anticipated duration of the disruption, and a description of alternative facilities or services, if any, that are available. This policy enables school staff, as appropriate, to prepare and implement required notices. Notice may be given by posting information at the premise, on the School website, voice messaging, or any other reasonable alternative in the particular circumstances. It is expected that consideration will be given to which people with disabilities will be most affected by the disruption and steps will be taken to ensure that the information about the disruption will be communicated in a way that best matches these needs. those who participate in developing the School’s policies, practices, and procedures governing the provision of services to members of the public or other third parties. what to do if a person with a particular disability is having difficulty accessing school services. Records of the training will be kept including, the dates on which the training is provided and the number of individuals to whom it was provided. Any person wishing to provide feedback to the School about the manner in which it provides service to people with disabilities may do so in a variety of ways, including, in person, by telephone, in writing by email, hard copy, or fax, or by some other communication technology. Upon receipt of a complaint, the complaint is to be forwarded to the School’s Human Resources Department, to the attention of Director of Human Resources. Upon receipt of a complaint the matter will be reviewed by the Manager or designate, and a response will be provided to the person making the complaint either verbally or in writing, as appropriate, concerning their complaint and any action which may have been taken as a result.